Time magazine's May 7, 2012 article, "The Faster Lane: Why small cars are suddenly big business," (subscription required for online version) is all about increasing fuel economy standards, and how smaller cars have become more popular. In this article they call out seven models—Subaru BRZ, Chevrolet Sonic, Fiat 500, Scion iQ, Ford C-Max, Toyota Prius C, and lastly, the Honda Fit EV. The article calls out the city fuel economy ratings of all the models listed. This is, of course, only half of the story, and arguably, makes the cars' fuel economy ratings look, well, not so impressive. Twenty-six MPG on the Sonic? So what. That's for the 1.8-liter, too. Why not use the EPA fuel economy of the 1.4-liter turbo, which gets 29 city and 40 highway? Or perhaps list the 1.4-liter's combined 33 MPG rating rather than just the city rating of the not-as-frugal 1.8-liter mill. 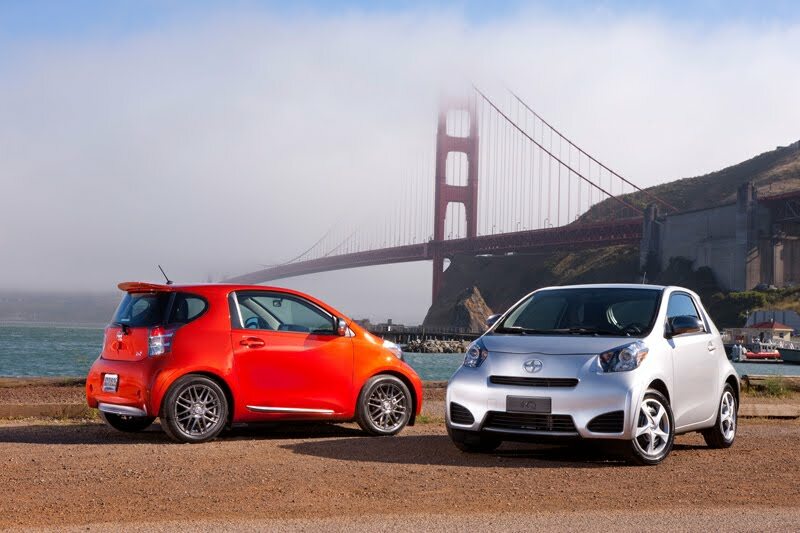 There was one big typo: The article calls out the"Toyota Scion iQ" as an EV, which it is not. It's a gasoline-drinking 1.3-liter four banger, Time. Finally, the article goes on to tout the upcoming Honda Fit EV's 123 MPG. What it doesn't go on to say is that its range is 73 miles (city/highway combined). Range is probably the most important point regarding an electric vehicle, and when you're talking about MPG (or at least the equivalent, since it, you know, doesn't use gas), you might want to mention that. It's great to see an article like this in a mainstream publication, it's just a shame they made so many ham-fisted mistakes. Yep, Time magazine always makes mistakes.........Man of the year was Adolf Hitler 1939.